The Tap & Barrel ~ Plymouth, Devon. 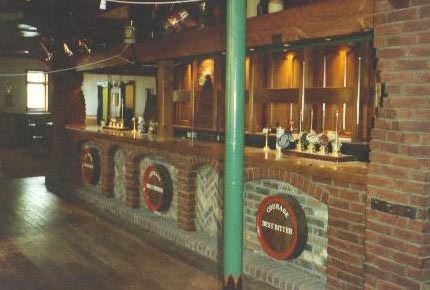 We constructed a bespoke bar for the Tap & Barrel pub in Plymouth during a major refurbishment. 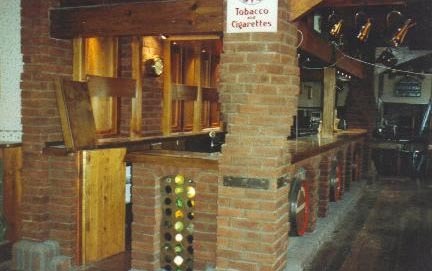 Reclaimed bricks were used for the purpose. 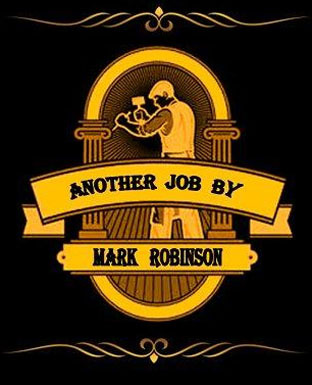 It involved building twisted pillars, several arched panels, some inset with a herrringbone pattern and a panel built using bottles which were illuminated from the back. 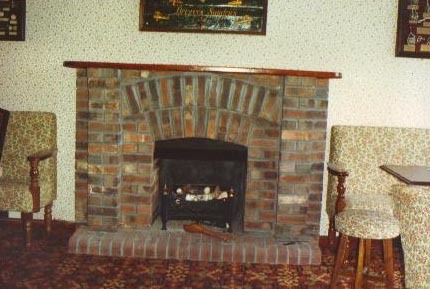 A simple ‘double arched’ fireplace was also built within the pub. More recently, new owners have changed the name back to ‘The Penguin’. Nobody knows for sure why it was given its name in the first place.